On the Ryng Phone System, a "person" is meant to map to a real person who works at your company. Each person is assigned an extension. One person can have multiple phones associated with them. 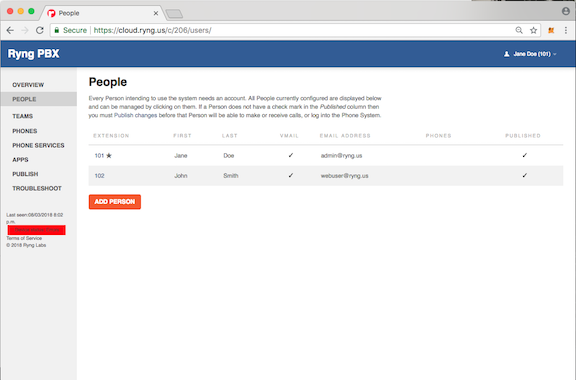 The default screen shown when the People ta is clicked shows a list of all people that have been configured on your Ryng Phone System. Click on a person's extension number to edit that person's details.